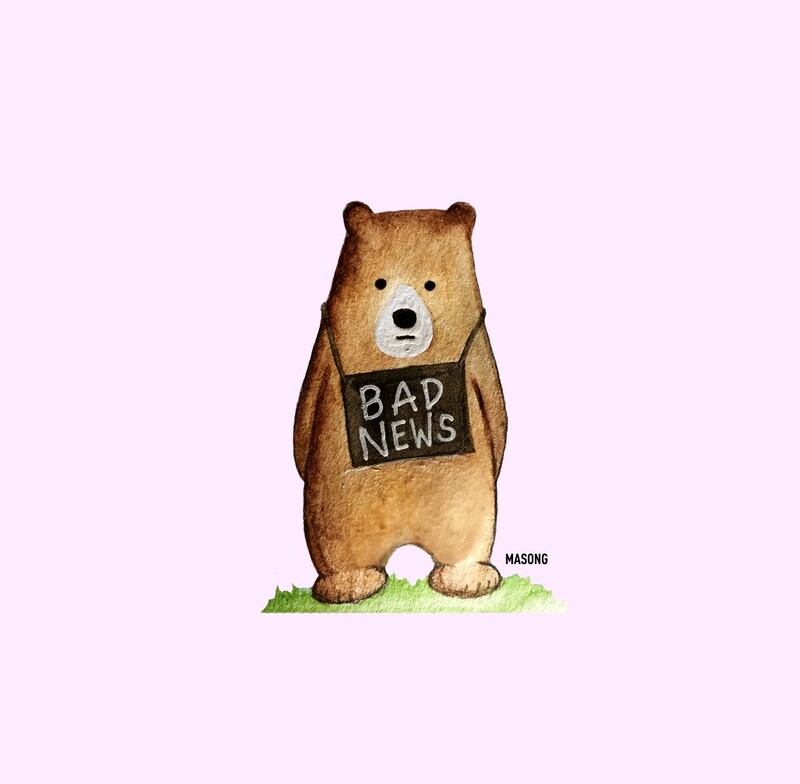 Credits to HASONG for the Bad News Bear. You’ve heard it before “I’ve got bad news and good news, which do you want first?”. But if the question were to be asked in the real world it would sound more like “I’ve got bad news and bad news, Which do you want first?”. It sounds grim for sure, but there’s a reason for why this is the case. See, when you go to a news site at any given time, chances are that you will see a scary headline, some problems around the world, gossip and then the occasional good news. And the problem does not lie with the news site. It lies with us, or more specifically, our brain. It turns out that our brains crave sensational news, and bad news hit just the right spot. News media just want clicks, and if it turns out that bad news gives those clicks, they are naturally going to report those, primarily. A Russian newspaper “City Reporter” decided to test what giving uplifting news would do in terms of readers and activity on their websites, and it turned out to be a sad result. As they tried to only report good news and twist bad news to only look at the most positive sides of the stories, their viewership went down 2/3 for that day. In our brain we have 2 almond-shaped groups called the amygdala in each temporal lobe. Back in the old days, where humans lived in the wild and had to focus on survival, this part of our brain served as observing and sensing danger to us. If a stick cracked in the forest while you were gathering berries, this part of our brain would make us consider the fact that it could be a deadly predator. Even though it might just be a hedgehog or the wind, the amygdala made sure that we were alert. Today, day to day survival is hardly a problem anymore, and the amygdala serves a different purpose. It instead warns us about probabilistic danger. If Ebola has killed 200 people on the other side of the world, well should it come to you it would be problematic. As a result of the amygdalas influence, we notice and focus on the bad news to a much higher degree that the good news. A study conducted by “Pew Research Center for People & the Press” has shown that readership has spiked and fallen through different decades. The 80’s and the 00’s holding the highest percentages of people who follow the news “very closely”. And it also tells us that the most prominent categories that spike readership are war, terrorism, natural disaster and the weather. While our brains love the bad news, it can be a bit frustrating in the long run, to only read about terrible things and some newspapers have taken spreading good news to heart. In Denmark, we have a newspaper called “Verdens Bedste Nyheder” (The Best News in the World) and it focuses solely on telling good news, such as reduced poverty, clearing countries of landmines and lower amounts of homeless people. And should you search for “good news” on Google, several news outlets that report good news will come up. So in all the dread, the disease, and the disasters, it is possible to find uplifting news that tells you about the good that really does happen around the world at the hands of great people. I'm a 22 year old studying for his bachelor in biomedicine at The University of Southern Denmark. Appreciate new ideas and new perspectives.